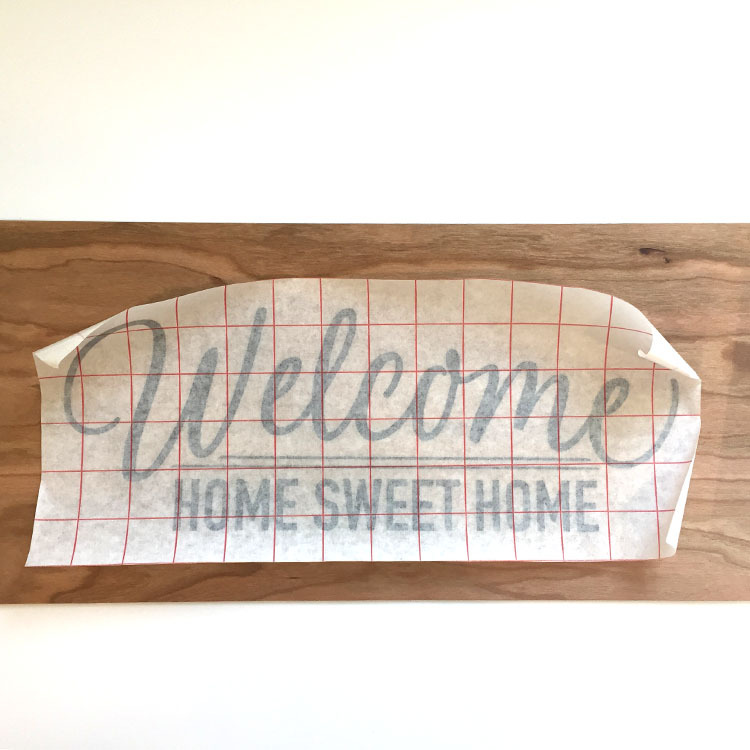 Introducing our newest kit … A Do It Yourself, Real Cherry Wood Home décor sign! 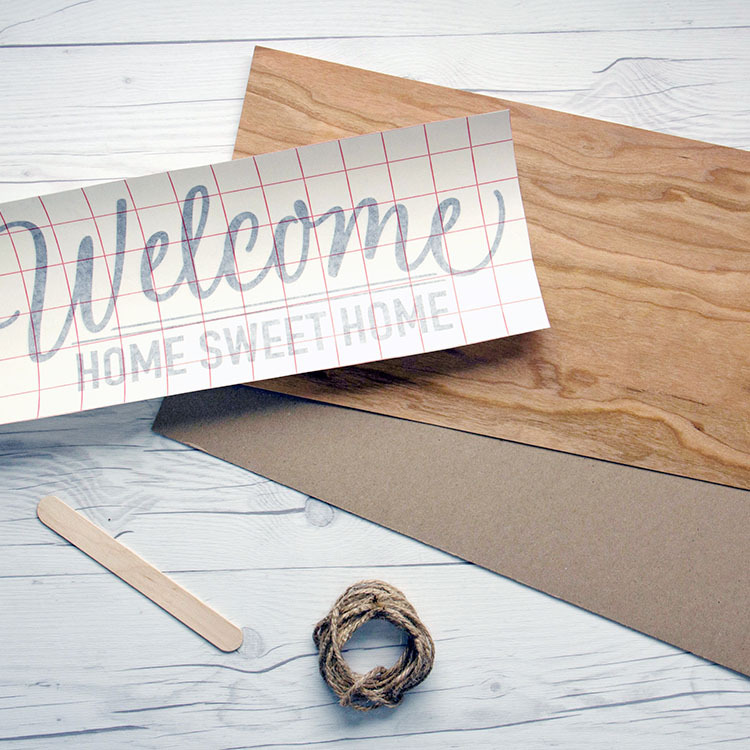 This Welcome sign is affordable and a great way to get introduced to our Real Wood paper. 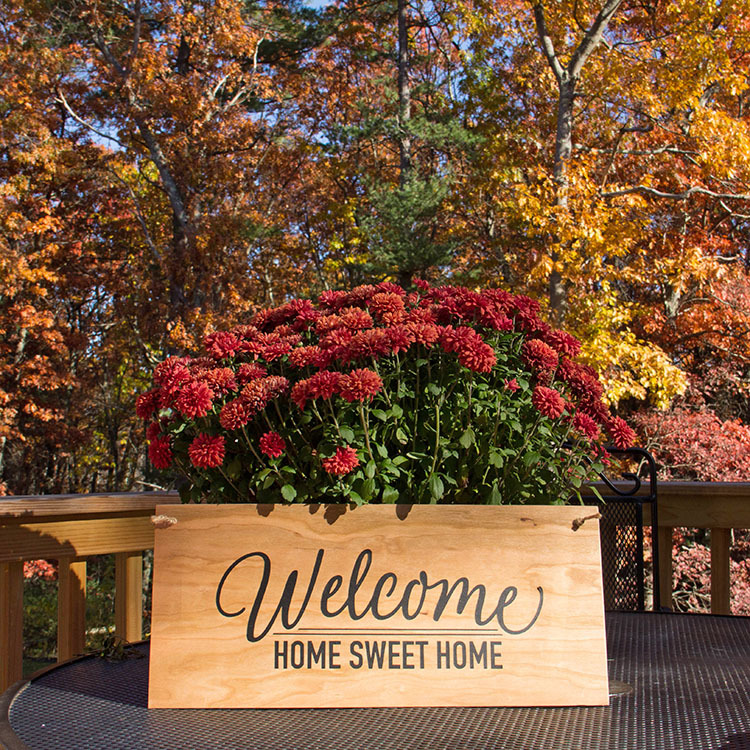 Everything you need to assemble this sign is included in the kit. 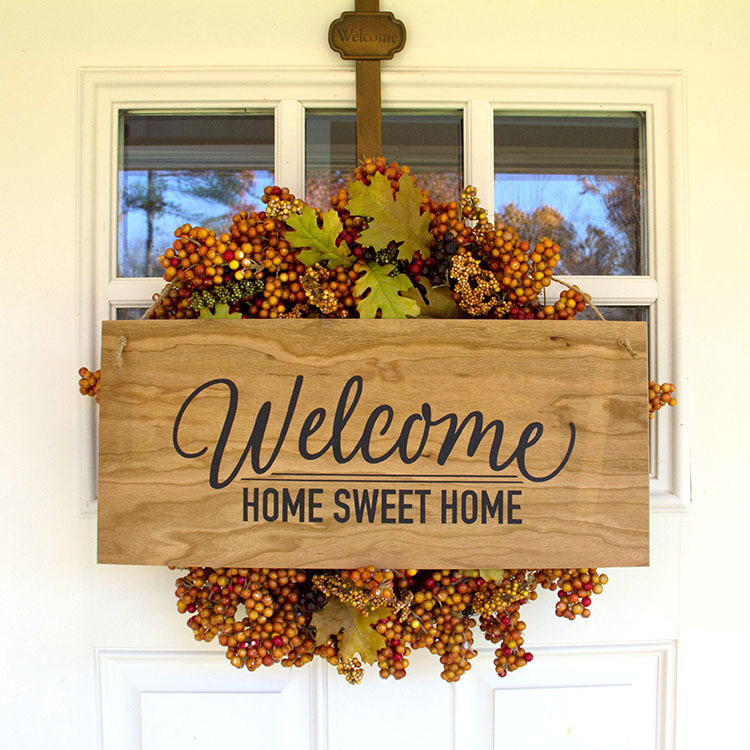 Once assembled this Welcome sign is very versatile and will coordinate with many great everyday, fall and holiday décor ideas! 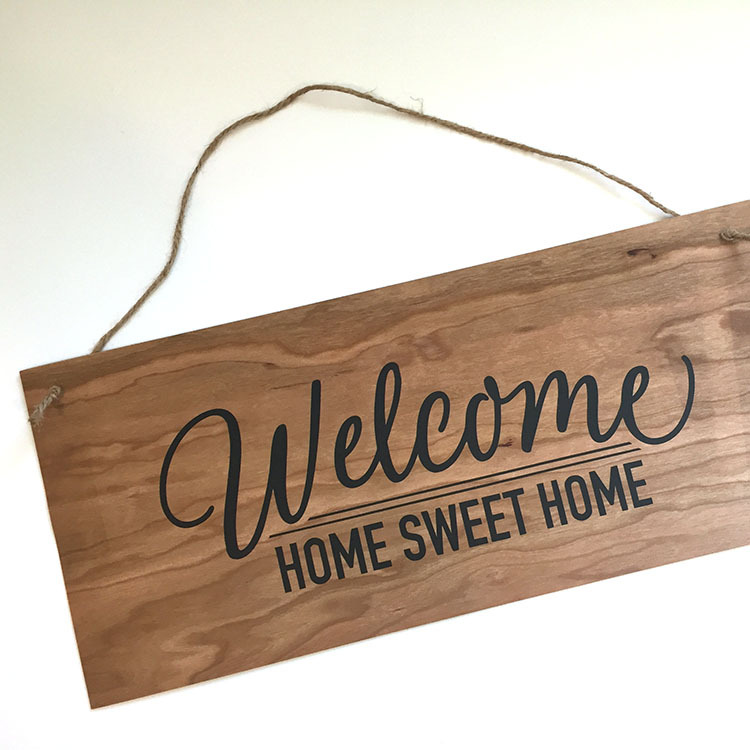 Real wood ‘Welcome’ home décor sign. 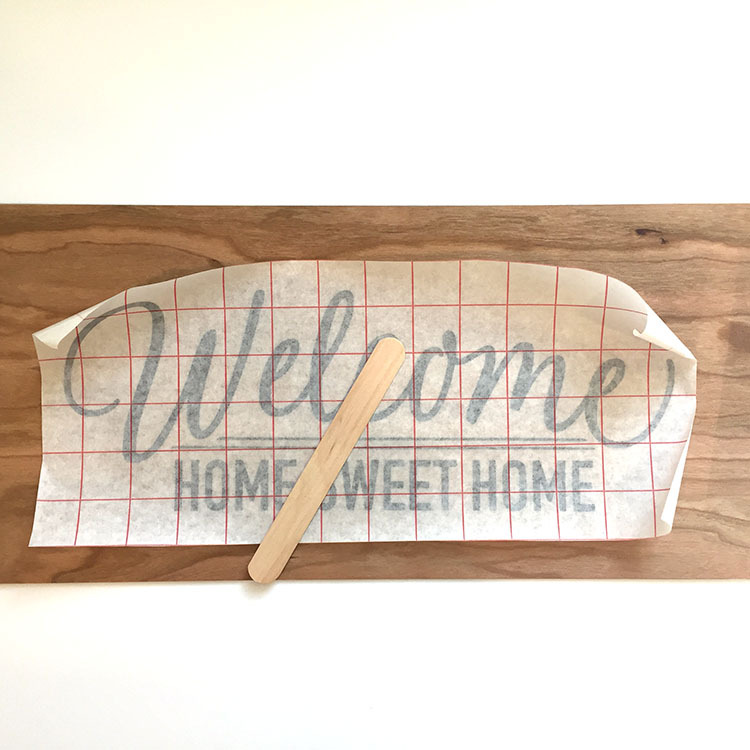 Kit comes with 1- 8″ x 18″ roll of Real Cherry Wood paper, 1- 8″ x 18″ chipboard sheet, twine, vinyl sheet with applicator and instruction sheet. This kit is available for purchase for $11.99 in our online store. Apply Real Cherry Wood to chipboard backer. 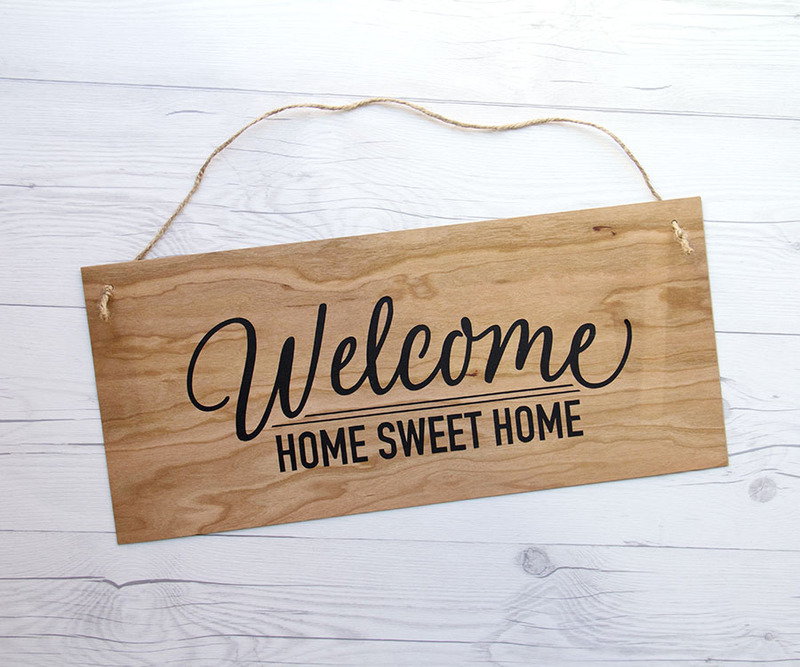 Place vinyl Welcome Home Sweet Home artwork to Real Cherry Wood sign. Rub back of transfer sheet onto Real Cherry Wood with wood stick. Make sure to rub each letter for better adhering. 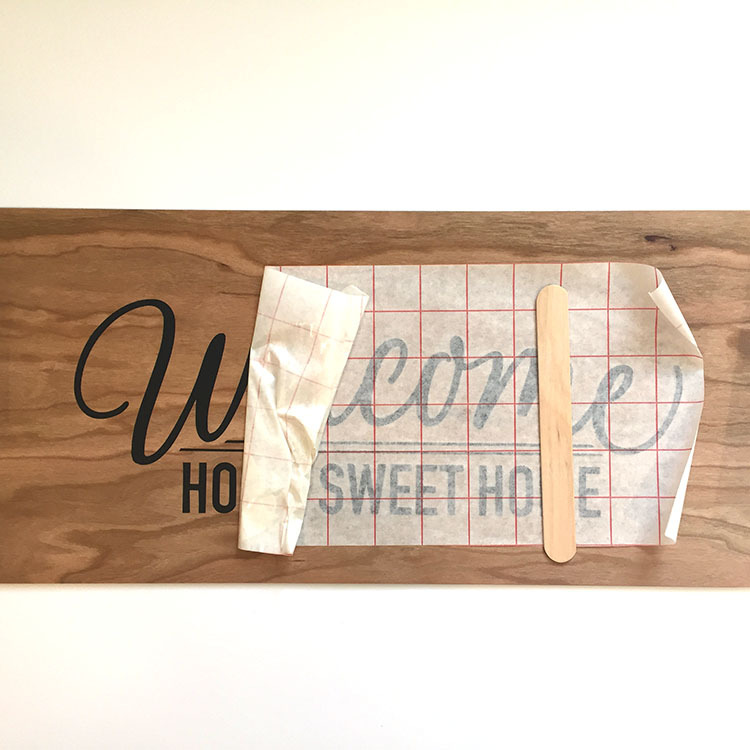 Gently remove the transfer sheet from vinyl making sure all of the vinyl artwork is stuck to the Real Cherry Wood. Check over sign to be sure each letter and piece of vinyl has adhered to the Real Cherry Wood. 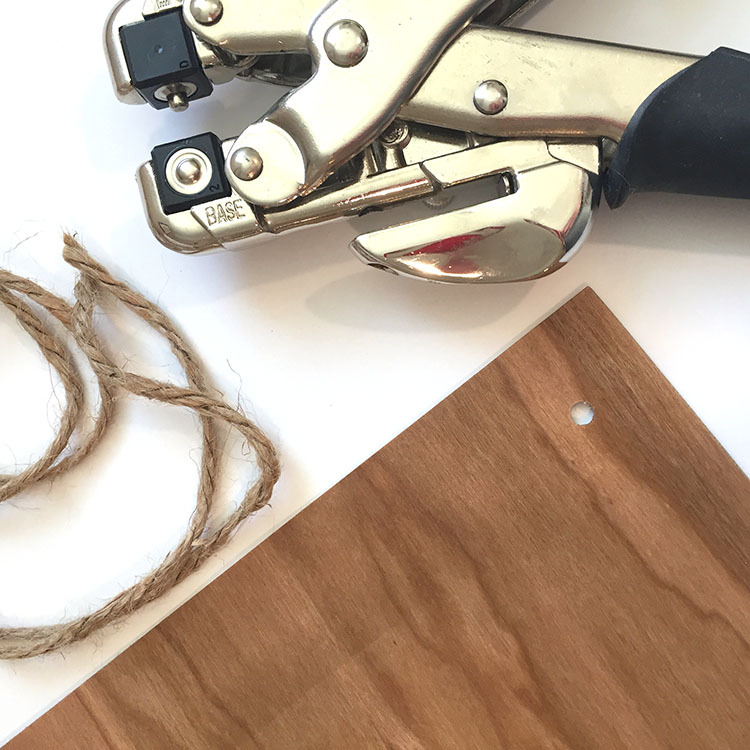 Remove any air bubbles from vinyl with a straight pin. 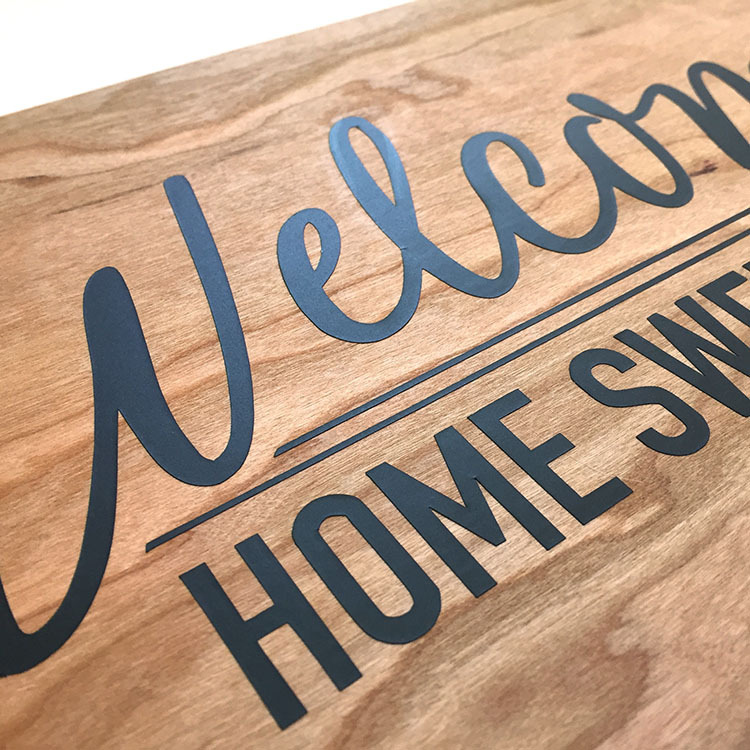 Punch 1/8″ holes on the top left and right corners of the assembled welcome sign. 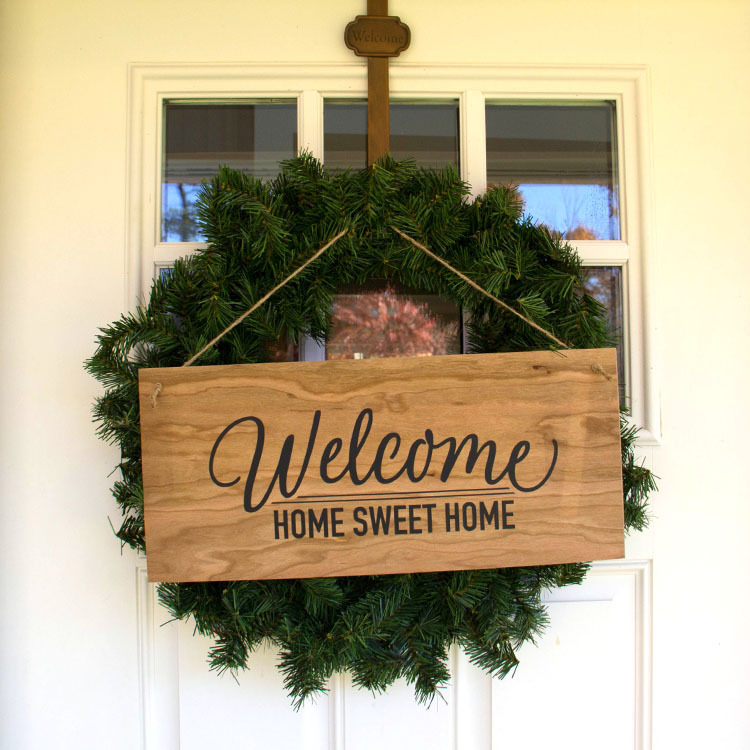 Measure desired length of twine and attach to sign. 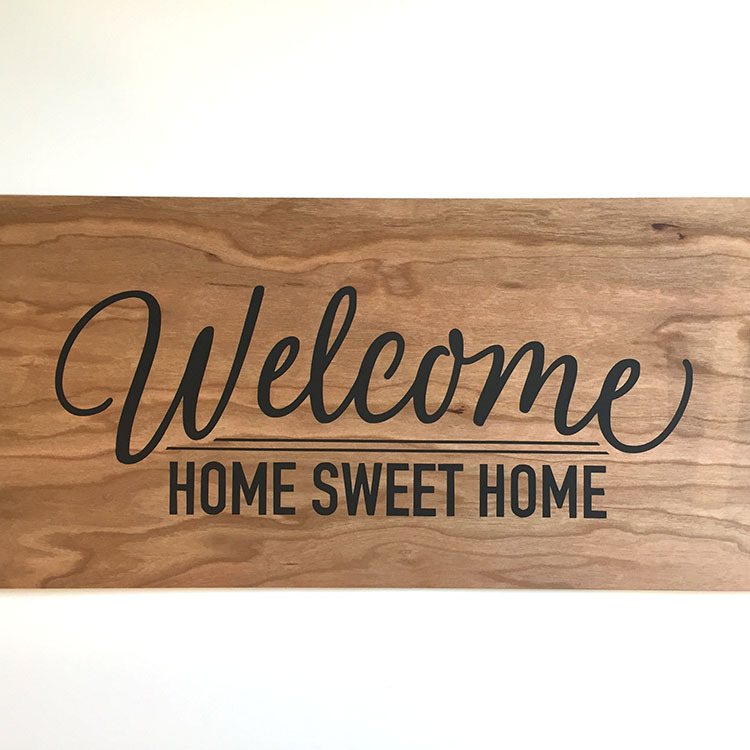 Your sign is ready for display. 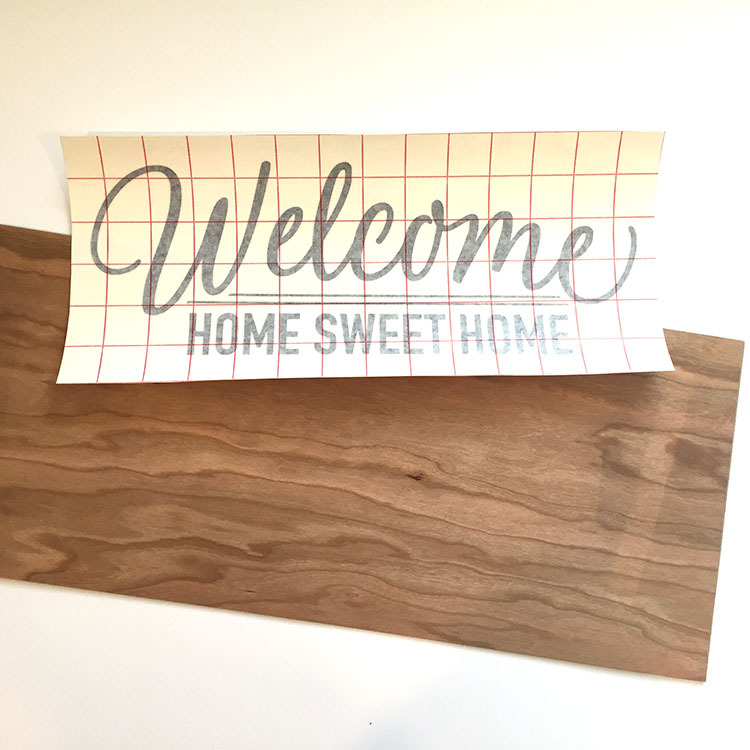 This entry was posted in Crafts & Kits and tagged Cherry Wood Sign, DIY kit, Home Sweet Home, Welcome Kit.